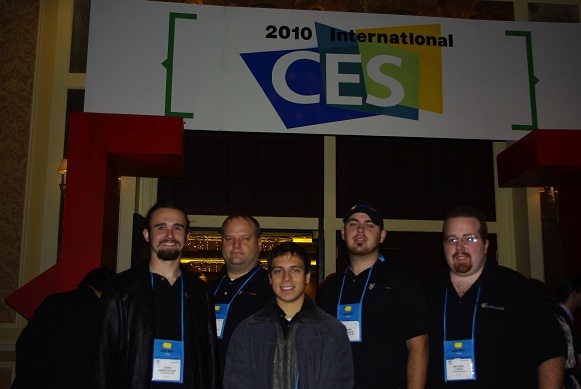 With CES Unveiled tonight the biggest consumer electronics convention of 2010 is underway. Products from over 40 different companies were on display. The event geared toward giving members of the press a glimpse of what we can expect to see each of them announce and show off over the next 5 days during CES 2010. While browsing the floor we stopped by the MSI booth to talk with Rajiv about what MSI has in store for consumers for 2010. On display from MSI were a full lineup of its mobile products including its G series Intel Calpella equipped notebooks, Wind netbooks, and mainstream GE series. MSI is definitely pursuing platforms for the new Intel Core i5 processors in its laptops promising consumers more performance. Not to be excluded from MSI’s mobile lineup are the i7 quad core which finds its home in the GT640 and GT740. MSI announces today seven new Wind Top All-in-One PC’s ranging in size from 19 to 24 inches. For gamers MSI has also announced 6 (six) new gaming focused notebooks which are all running the Intel Calpella platform. These laptops utilize both nVidia and Radeon graphics so that consumers can select their favorite 3D card. From our brief glimpse of these machines we were admittedly impressed with the appearance. We like the sleek lines and brushed aluminum cases found on some of these models. Smaller mobile platforms received equal attention to detail with smooth finished palmrests, chromed accents, and cool blue lit LED’s. Netbook enthusiasts will be pleased with MSI’s choice to jump on the Intel Pine Trail which brings better power managment, better graphics, and promising up to 7.5 hours of battery life on top of all this. The new U160 and U135 both utilize the new Atom N450 and Windows 7 starter edition while the remaining specifications remain as expected for a netbook. We will be bringing you updated information on the MSI Fusion lineup as well as additional developments within the MSI camp in the next few days.